Yes, when the big boss is involved in improving the experience of customers, the company enjoys more profit – plus revenue growth and loyal customers. Those are the findings from a 2015 global study by Genesys (www.genesys.com). The research includes the customer experience (CX) efforts and leadership of 516 CEOs in 21 nations. “This study clearly demonstrates that C-level engagement in customer experience initiatives drives competitive advantage,” says Paul Segre, President and CEO of Genesys. “In an era when consumers have more choice than ever, the research validates that investment in CX is a sound investment in sustainable competitive differentiation,” he adds. The study concludes 58 percent of companies led by a CEO in charge of customer experience enjoyed significantly more profit. Fifty-nine percent had stronger revenue growth. Many CEOs in China, Hong Kong and Southeast Asia seem to understand the connection between CEO leadership on customer experience and profits. However, only about 33 percent of CEOS in North America lead in customer experience initiatives. In Europe, typically it’s the chief marketing officer who is the executive to lead in customer service efforts. 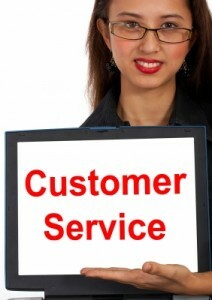 Sixty-three percent of CEOS who lead in customer service beat their competitors in satisfying customers. More than 50 percent will increase customer-experience investments by 10 percent. Despite a universal decline in customer loyalty, only a third of CEOs understand that they’ll retain more customers with a customer-experience strategy. An eye-opener: Just 20 percent of companies now see the benefits of social media in customer service perceptions. But it’s different approach in Asia Pacific and Latin America. Such CEOs believe in the potential of social media of a customer-loyalty too. For them, social media, Web self-service and online support will become more extensive. “Ambitious companies are driving large investments in customer experience initiatives to adapt to the digital communication channels customers are demanding,” concludes Charles Ross, lead researcher of the study. Amen. The data for North American companies is hard to believe — isn’t it? Why Your Customer-Loyalty Program Might Not Be Profitable — Researchers are warning businesses that their customer-loyalty programs, which are designed to increase repeat business, may be causing more harm than good.